You will be given a reference e-book to read which has 406 pages And the test will be based on that e-book , you can take the test only after 10 days Of &nbsp;purchase. Project planning can be defined as a discipline which states the procedures involved in completing a project within a timeframe based on defined stages and designated resources. The entire project planning and control process is divided into various activities and these include setting measurable objectives, planning schedule, determining deliverables and making plans that support the plans that have been previously established. The supporting plans include those that are linked to risk management, communication methods and human resources. Project planning is also called by experts as work planning and this refers to the process of systematically scheduling and sequencing tasks that comprise a project. Other experts also define project planning as the process of measuring the budget size and the amount of time needed to complete a project. The result of effective project planning and control is a well-established plan which will be used by project managers in keeping track of a project’s progress. It should also be noted that project planning will never be complete without project controls. Project control, on the other hand, is a process which requires the use of certain discipline including schedule forecasting, project deliverables, corrective action, schedule management, work breakdown, progress reporting or measurement, cost control and management and proper estimation. The entire project control process needs tools and strategies including measuring quantities, earned value analysis and milestone trend analysis. If you want to receive your project planning certification, then you should know that you will not only be learning everything related to project planning but also the strategies and tools used in project controls and how you can apply all these when trying to accomplish a project. If you want to improve your project planning skills through the project planning certification program offered by Brainmeasures, then it is best for you to familiarize yourself about what you can expect from it. The entire project planning and control course from Brainmeasures actually allows you to get your online certification with convenience. You can expect the entire project planning certification program to offer you all the information that you need to become an effective project planning expert while also providing information about the types of project control tools and strategies that you can use. The company also offers a skills testing which evaluates your knowledge about the entire certification course. This online exam was primarily developed by experts so you can expect it to work in testing your skills and knowledge in project planning and control. 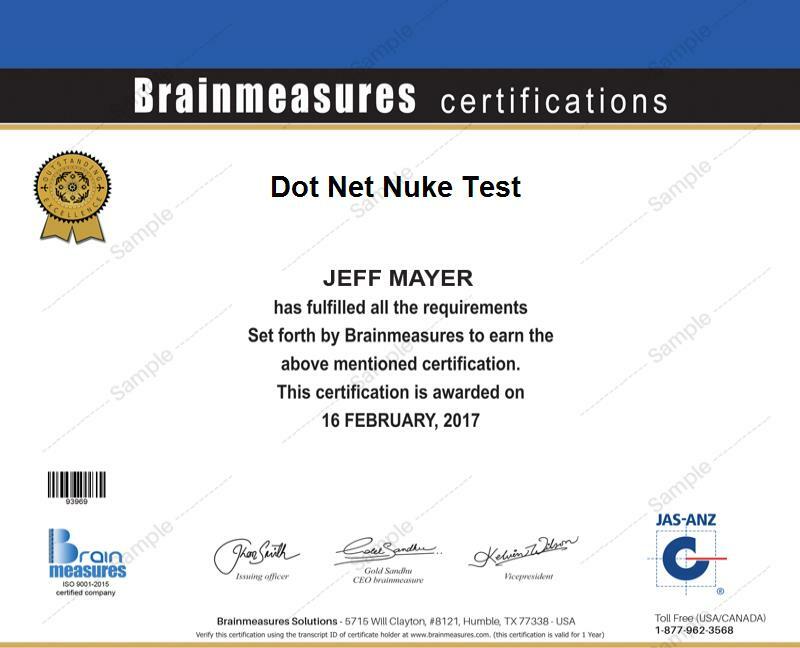 You can get your certificate after you pass the project planning exam given by Brainmeasures. All these topics are useful in nurturing your skills and molding you into a better project planning and control expert. If you have a strong desire to become an effective project planning and control expert, then you should know that the project planning certification program from Brainmeasures can be of help. An advantage of the program from Brainmeasures is that there are no pre-set requirement or qualification for enrollment. All that you have to do is to register with Brainmeasures to become part of the program. The entire program can benefit managers and decision-makers who are in charge with planning and controlling projects while ensuring that it is successfully accomplished at the quickest possible time. Getting your project planning certification guarantees your prospective employers that your knowledge in planning and controlling projects is comprehensive. This increases your chances of getting a job with an even higher pay. Being a project planning and controls expert gives you the chance to receive an annual income of $36,000 to $78,000.